Witness vintage tales from the moldering crypt of comic books – uncensored and LIVE! 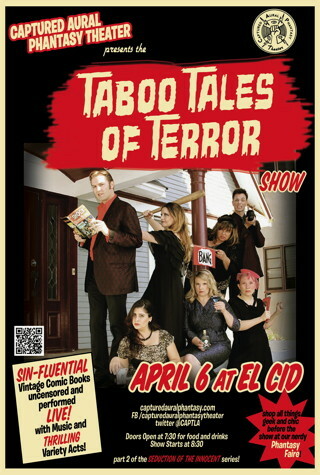 Captured Aural Phantasy Theater presents the TABOO TALES OF TERROR show at the historic El Cid for one night only Sunday, April 6! 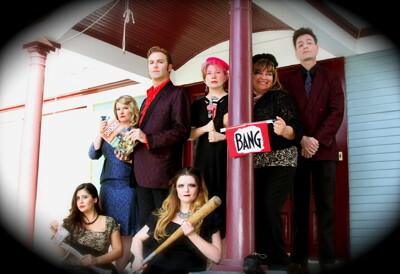 The talented troupe will be showcasing live performances of stories pulled from vintage, mid-century horror comic books presented in their signature variety show/old radio show style. These aren’t heart-warming tales – these are the comic book horror stories that were banned in the 50’s for being too terrifying, too violent and too much! Along with multi-media comic book performances, the evening includes comedic acts, prizes and the finest live music. Spend the evening with Captured Aural Phantasy Theater for naughty, uncensored entertainment! The TABOO TALES OF TERROR show is another in their new Seduction of the Innocent series, monthly shows that highlight comics once deemed harmful to kids. The series is in anticipation of the 60th anniversary of the Senate hearings of April 21, 1954, which damned the comic book industry. They will be re-staging this historic event with a special theatrical performance later in the spring. In the meantime, get the backstory and enjoy their “bad influence” at El Cid. Get there early to grab a good seat! They always start the show at 8:30pm, but doors open at 7:30pm so audiences can start enjoying El Cid’s brand new tapas menu and superb cocktails. Cost: $10.00 at the door (cheap!) or purchase here or here or at the venue here. *NEW* this season—shop before the show at the Phantasy Faire! Join local vendors on the El Cid patio and peruse everything geek and chic in their very own version of a nerdy farmer’s market. Enjoy a variety show, music and booze! This is a BIG year for us! 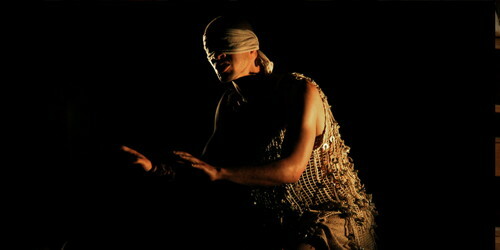 The 2013-2014 season celebrates Captured Aural Phantasy Theater’s 5th Anniversary in Los Angeles. However, we have been playing with the pop culture-variety-show / comic book-radio-show-style medium for over 10 years. We’ve been featured at many renowned venues including Comic-con International in San Diego, the Alexandria Hotel, i/O West, The Bootleg, the Velaslavasay Panorama and the Nerdist Showroom at Meltdown Comics. Captured Aural Phantasy Theater combines the art, drama and comedy of a vintage radio program with the live entertainment of a variety show. In our signature show format, CAPT players interpret thematic comic books and other pop culture nuggets in the style of a retro radio program along with musical acts, projected art and comedic bits. With this perfect blend of variety, radio, cabaret, and multimedia performance, Captured Aural Phantasy Theater aims to entertain all your senses. Captured Aural Phantasy Theater is what would happen if Garrison Keilor, John Waters and Stan Lee all hooked up after a night of hard partying. Shows are built around performances of vintage pop culture gems, but our specialty is giving old comic books a modern voice. Our retro-influenced variety show features real cultural artifacts of Americana interpreted for 21st-Century audiences. Captured Aural Phantasy Theater is a group dedicated to producing high-quality live, filmed and recorded entertainment; bred in Chicago, but in LA to stay. LA Downtown News “Don’t Miss” List! 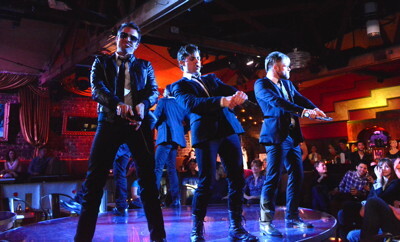 Featured in LA Weekly’s “GO LA!”, RECOMMENDED by Eye Spy LA! & MTV APPROVED. Captured Aural Phantasy Theater is the original comic book / radio / variety show based right here in LA for over 5 years!